Teens at the Philadelphia City Institute (PCI) Library are diving deep into big issues this month through the Teen Reading Lounge (TRL) program. 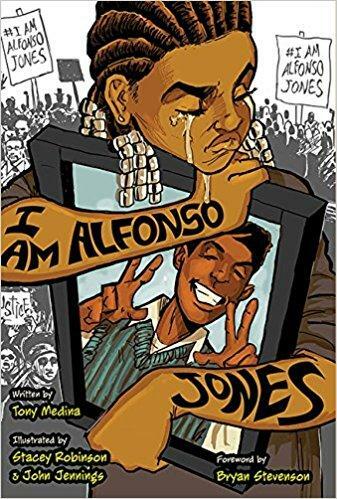 Program participants are reading and talking about this year's One Book, One Philadelphia selection for young people, Ghost Boys by Jewell Parker Rhodes, along with Tony Medina's graphic novel, I Am Alfonso Jones. 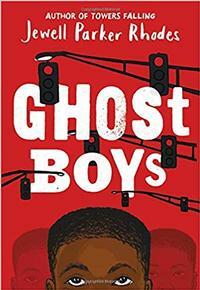 Teenagers routinely grapple with the issues of systemic racism and police violence that are explored in Ghost Boys and I Am Alfonso Jones. They read about it, hear about it, and talk about it. As one TRL participant put it, "Police brutality is on my news feed all day, every day. It's what I'm thinking about." Libraries can play a vital role in creating more safe spaces for teens to express their thoughts and feelings on these issues. We began hosting TRL four years ago at PCI, and have built a close knit community of young people who meet regularly to deepen their understanding of big issues, as well as hone their personal belief systems. Thoughtful discussion of literature plays a huge role in this process, as do activities, workshops, and guest speakers. While focusing on Ghost Boys and I Am Alfonso Jones, teens will participate in a workshop on student power and school policing, talk to a member of the Greater Philadelphia Chapter of the National Black Police Association, and explore the intersection of blues and hip hop music. TRL Program participants choose the featured topics. Earlier this year, for instance, our teens asked to focus on women's rights. The group read and discussed I Am Malala by Malala Yousafzai and We Should All Be Feminists by Chimamanda Ngozi Adichie. Then, they participated in workshops on the representation of women in the media, global women's rights, and the legal history of women's rights in America. Workshops are typically led by local professors, activists, and professionals in the community. The teens also worked together as a group to rewrite and claim a definition of feminism that felt meaningful to them. What's next for TRL? It's up to this year's group of bright and passionate teens to choose the topic on which they will focus their considerable energies. As a librarian, my job is to facilitate that process, and hang on for the ride! Teen Reading Lounge is a program of the Pennsylvania Humanities Council. PCI's program has been made possible with generous support from the Philadelphia City Institute Board of Managers. The Teen Reading Lounge takes place every Thursday at 4:00 p.m. throughout February at Philadelphia City Institute (PCI) Library.